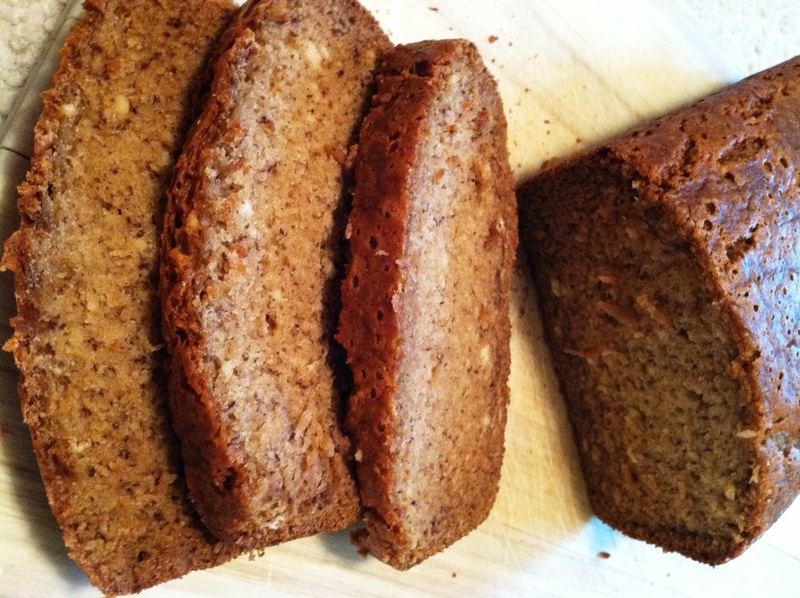 Banana Bread – PUT THAT IN MY FACE. 3. Sift together the flour, baking soda, cinnamon and salt. 4. Beat sugar and eggs with a whisk until light and fluffy, about 10 minutes. 6. Add mashed bananas, creme fraiche, and vanilla. 7. Fold in dry ingredients and nuts. 8. Pour into a lined loaf pan and bake for about 45 minutes to 1 hour.